Have a game day party with the best Super Bowl appetizers that are out there. Take your game day snacking to a whole new level with these savory bites! 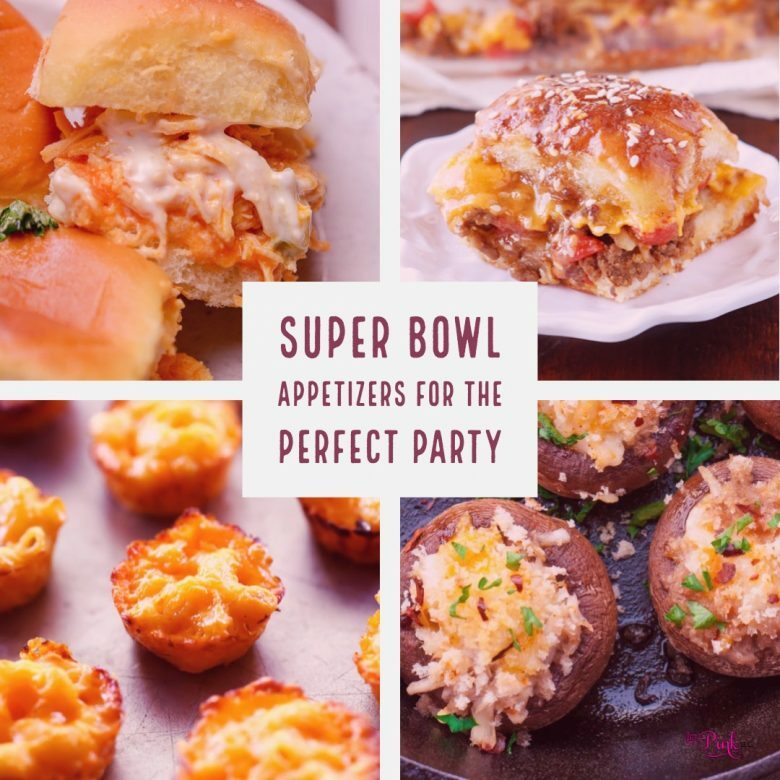 Bite size snacks, dips galore, fried goods, and all things that scream Super Bowl Appetizers! To me, the best part of the big game is all the tasty appetizers that call your name to try. Just like the holidays, you have a good excuse to snack away! Because when the game is on, the calories don’t count?! Or at least that is our motto! Root for your favorite team and enjoy these savory Super Bowl Appetizers to give your party a boost! Garlic Lemon Pepper Air Fryer wings will be a perfect fit. Rich flavors with a tender and juicy chicken that will leave your guests licking their fingers! If you love pizza, then you might want to check out this Pizza Ring! Easy to make and it will be a perfect way to serve up a slice or two of your favorite pizza. Cheesy Spinach Artichoke Fries are absolutely out of this world. Starchy fries topped with spinach and artichokes. This is a must make appetizer. Trust me your group will go wild! Just have napkins on hand! I can never pass up a Crunchy Fried Pickle Spears! Serve with a side of jalapeno ranch or straight ranch and watch the crowd rave at the tasty flavors. 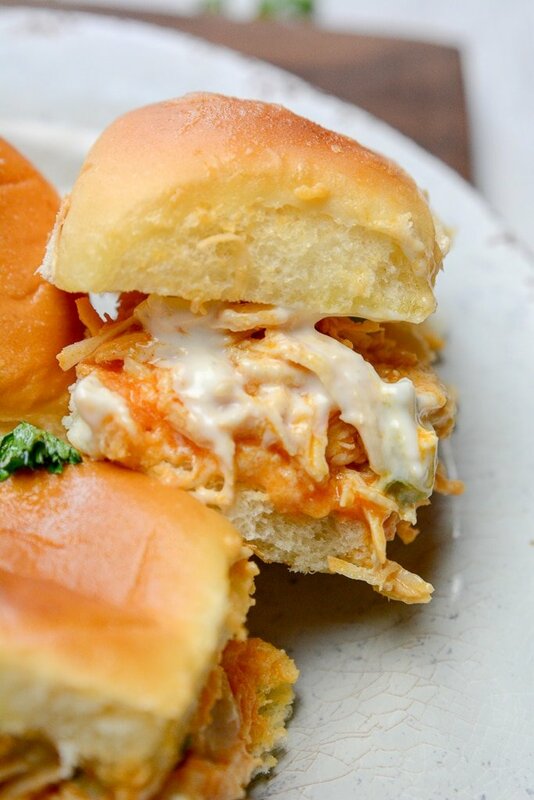 Instant Pot Buffalo Chicken Sliders are refreshing, savory and delicious! You have a little heat from the buffalo sauce on tender slider buns. Now if you want a low carb option, check out my Tortilla chip shrimp dip. You have rich seafood flavor with a creamy base that you can dip salty chips, veggies or pretzels in. If you like savory and sweet, serve up some of this Bacon Caramel Popcorn! Isn’t bacon good with everything? I sure think so. Nothing beats a savory stuffed mushroom. Go the seafood route with this Crab Stuffed Mushrooms. You have a nice seafood flavor mixed with a tender mushroom that is great for a bite-size appetizer. 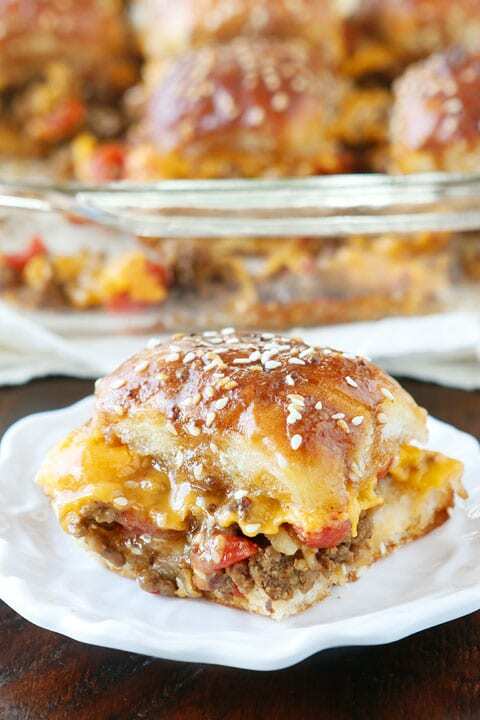 Rueubens are messy sandwiches, so give it a twist to make it a perfect Super Bowl Appetizer! Here is a Stuffed Reuben Pull-Apart Bread that is savory and all things Reuben without the mess. Mexican Shrimp Avocado bites are that perfect seafood appetizer paired with a salty tortilla chip topped with guacamole. Mini Beef and Cheese Empanadas are a classic game day appetizer. These are a snack that guys and ladies will love. Even little fingers will be reaching for these tasty hand pies. Jalapeño Popper Wonton Cups are really fun appetizers. They are made in muffin tins that have a filling of cream cheese, bacon, and jalapenos! Diamond Burger Sliders are an upgrade to sliders. You and your family will love these diamond sliders. They are savory and so delicious down to the last crumbs. Here is a super quick and easy appetizer. 3 Ingredient Crescent Sausage Bites will give you that creamy and savory aspect wrapped in a flaky crescent roll. These will be the star of the party! If you love potatoes you will swoon over these Loaded Tot Kabobs. Eggs are so popular, so try out these BLT with Egg Sliders! You have the salty from the bacon paired with the refreshing lettuce and tomato paired with the hearty egg! Grab some bread and make this BLT dip recipe that will be delicious and a great snack option for your guests. This Super Bowl Appetizer gives you a colorful option to dress up the appetizer table! Rainbow Pepper Salsa is not only pretty but absolutely delicious. 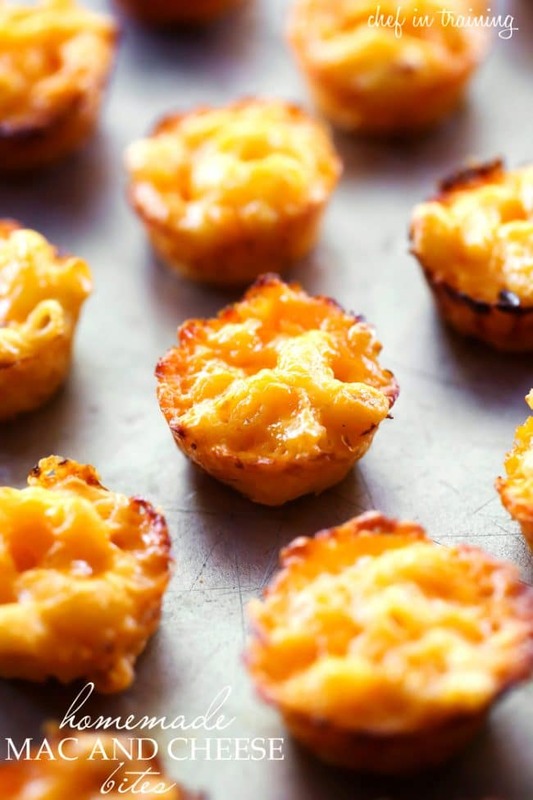 Homemade Mac and Cheese Bites give you that mac and cheese taste in bite size crunchy form. Easy, delicious, and who can resist a good mac and cheese? Roasted Sweet Potato Nachos are a healthier version to say basic nachos but not lacking in flavor. Loaded with delicious toppings for that sweet potato fix. You can never go wrong with a Cajun Snack Mix to munch on as you are waiting on another touch down for your team! Instant Pot Meatball Bubble Up is really delicious. Grab your toothpicks and get the Italian flavors all combined in one dish. Oven-Baked Garlic Parmesan Wings are savory and light in flavor so no heat like regular wings. They are finger licking good. Make this jalapeno hot pepper and chicken dip. Serve with crusty bread, salty chips or even veggies like celery.